Arden’s amenities were designed to meet the needs of multiple generations. Some residents will love strolling along Arden’s 20+ miles of trails. Some will spend most of their time working out at the Fitness Center. Others will prefer meeting up with friends at the Clubhouse. But parents, grandparents and kids can all agree that Arden’s resort-style pool is the perfect place to spend the day with family. Arden’s split-level, resort-style pool is strategically located at the center of the community so that it is within easy walking distance from almost every home. Forget the days of loading the kids up in the car with all of the towels, toys, sunscreen and snacks to drive all the way across town just for a swim. Instead, it will be easy to stop by at your convenience, even if it’s just for a quick dip. 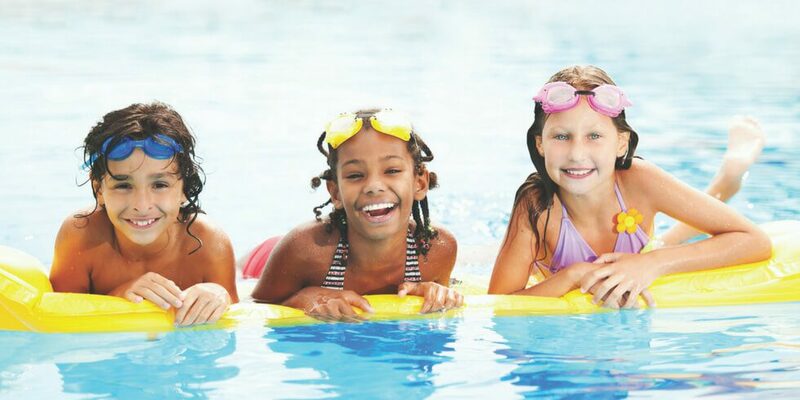 Let the kids burn off some steam after a long day at school, relax poolside with a good book when you need a break, or spend the whole weekend playing together under the sun. Arden’s pool was specifically designed with families in mind. The peaceful upper-level pool was designed to be the perfect place for grownups to escape and relax under luxurious, shaded cabanas. From there, a special sound-dampening waterfall flows down to the lower-level pool where the real fun begins. Kids will be entertained for hours at the interactive splashpad, and the beach-style, zero-entry pool is perfect for both small children and those with limited mobility. Plus, with the Clubhouse just steps away, it’s easy to pop in to use the restroom, grab a snack or drink at The Hub, and get the little ones out of the sun for a while. Arden’s amenities are slated to open this summer! Join our Founders Club to be among the first to receive an invitation to our Grand Opening event.